We have added everything we know about Sekiro: Shadows Die Twice including its review, release date, story, gameplay, trailers, full game movie & you can find more information in this article. 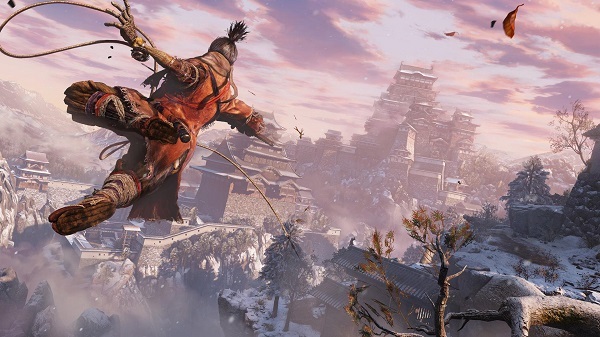 Sneaking around on rooftops, hugging walls & using other ninja skills to kill enemies are easy to accomplish in Sekiro: Shadows Die Twice. You can also use Shinobi Deathblow which causes death instantly & it can be used to sneak up on a rival or break their posture, which is a fresh technique that wraps the battle in a clever way. A new strafing mechanic allows you to run around a rival whilst locked on, finding new chances to hit him which we found very useful. Like you, rivals can resurrect as well & it means that their health bar also refills once you have depleted it, making the battles more difficult. The prosthetic tools that belongs to the playable character can be remodeled to unlock new actions such as powerful charge attacks. These attacks allow you to broaden your approach to beat your enemies. The sword is the main weapon in Sekiro: Shadows Die Twice. You will take command of special sword arts to supplement your regular attacks, & tear down opponent defenses before sealing the final blow. You can equip & choose b/w a variety of unique prosthetic tools to find the weakness of a tough rival. You can also use other tools such as grappling hook to bring an extra dimension to exploration & traversal throughout the world of the game. Resurrection can be used as an opportunity for a tactical retreat or to deceive a rival & go on the counter offensive, this fresh battle strategy lets you to resurrect on the spot, even after a hasty death. At Gamescom, fans saw multiple tools that are available for the prosthetic arm. The launch date of Sekiro: Shadows Die Twice was revealed at the event. The game was released on 22 March, 2019. At the event, Sekiro: Shadows Die Twice received the best title of Gamescom award. The gameplay of Sekiro: Shadows Die Twice was praised. Sekiro: Shadows Die Twice is an action / adventure video game developed by FromSoftware & published by Activision. The game is directed by Hidetaka Miyazaki, the same guy behind Demon’s Souls, Dark Souls & Bloodborne. Watch Sekiro: Shadows Die Twice gameplay trailer revealed at Gamescom. FromSoftware’s new game diverges from its “Dark Souls” series in several ways according to everything we have seen so far. The protagonist is a ninja warrior slashing & slicing his way through sixteenth century Japan looking for revenge. For instance in Sekiro: Shadows Die Twice you can’t customize your hero as you can choose to play a ninja named Sekiro. You cannot progress through the story by the choices you make so the game features an established story. Sekiro: Shadows Die Twice is an action / adventure video game rather than an RPG. You are not allowed to craft new weapons, can’t improve your stats & weapons & so forth. However the Souls games’ had this feature. You could improve your skills & make weapons powerful. 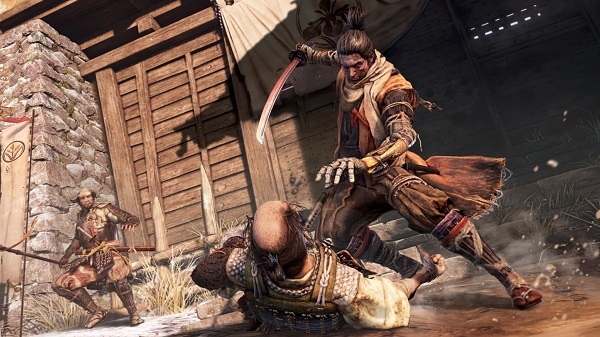 There is no multiplayer mode in Sekiro: Shadows Die Twice. However Dark Souls games are too difficult to play & also you would be in trouble if you upgrade your weapon to become super deadly. If you had leveled your old weapon to be super powerful then you won’t use a new weapon you found. You could avoid upgrading your weapons & focus entirely on improving your skills. 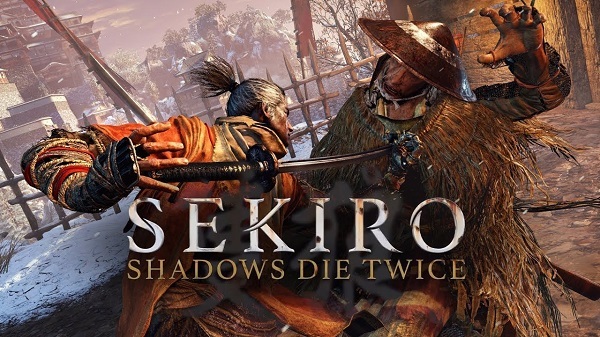 Sekiro: Shadows Die Twice was released for PS4, PC Windows & Xbox One on 22 March, 2019. 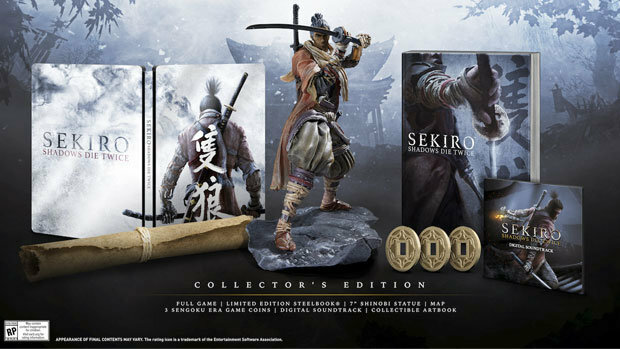 You can also buy Sekiro: Shadows Die Twice collector’s edition which includes the full game, a steelbook case, a 7-inch shinobi statue, art book, physical map, digital soundtrack & replica game coins. You will control a shinobi named Sekiro as he attempts to take revenge on a samurai who attacks him & kidnaps his lord. Sekiro was a 10-year old boy & there was something special about him & his bloodline that made him a victim to external influences, & a clan sent a samurai to kidnap him. The boy fought against the samurai but the cruel samurai cut the boy’s arm & captured his lord. Sekiro: Shadows Die Twice is similar to From Software’s earlier projects in a no. of ways. It is a third person action adventure RPG & offers combat similar to Dark Souls & Bloodborne. The game includes new features like players can resurrect themselves after death. This is a limited skill so players cannot resurrect themselves forever, however they can use it to their advantage. Players can allow themselves to be killed & rivals will walk away & players can get up & hit them in the back. Sword combat is modified & now you can add both Prosthetic Tools, including the Grappling Hook, & special Sword Arts to supplement regular attacks. Players can use stealth which allow them to skulk around quietly & they can execute sneak attacks. You can play Sekiro: Shadows Die Twice in multiplayer which allows other players to join your game & help or hinder your progress. You cannot interact with other players. The game is designed to provide a single player experience. There will be no difficulty option available because From Software wants to bring every player to the same level of enjoyment. Dark Souls & Bloodborne are other From Software’s games & they are popular for their ultra-hard bosses & infrequent checkpoints that offers a tough challenge for players. 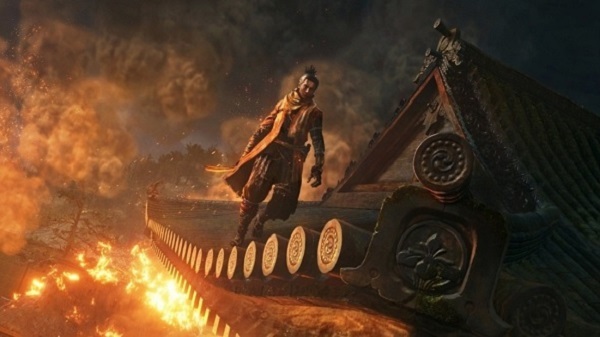 Some fans asked to include difficulty option in Sekiro but From Software did not accept that particular request for Sekiro. The developer wants every fan to feel the sense of accomplishment. This game is more difficult than the previous From Software games. Sekiro: Shadows Die Twice is playable from third person perspective. It features stealth elements & you can wipeout your rivals quickly if you get in range undetected. You can use various tools that help you out in exploration & combat such as a torch & a grappling hook. If you die during combat, you will be revived on the spot instead of respawning at earlier checkpoint, although with some limitations. You will control a ninja with a prosthetic arm, a mechanical limb which you can use as a grappling hook or swing around to stun & distract incoming rivals. You can perform a variety of moves using a prosthetic arm. The game features bloody, brutal & satisfying combat. 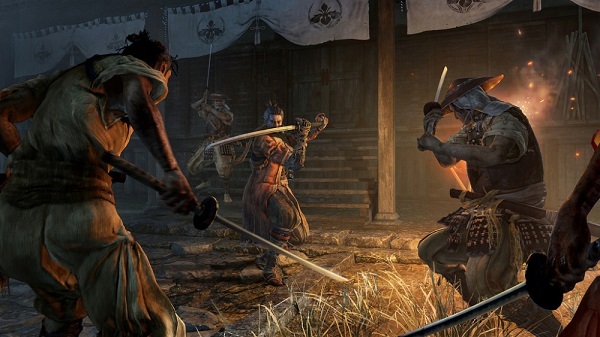 Rather than attacking to cut a rival’s health points, combat in Sekiro: Shadows Die Twice revolves around using your sword to attack enemy’s self-control & balance, which let you kill the opponent with a single killing blow. Sekiro: Shadows Die Twice features quick & precise combat that you can expect from FromSoftware to produce. The developers used the concept of creating a game where hero is on the brink of death. The fights are more dangerous & you are constantly at risk of dying. You are not a knight in armor, your body is exposed, weak & vulnerable. If you die during combat, you will respawn on the spot, instead of restarting from the nearest checkpoint. FromSoftware used the resurrection system to address the frequency of death. They hoped that it won’t make the game simple; it’s not going to numb the player to death. It will create feeling that you are constantly at death’s door. It also suits the ninja hero as he is a cold blooded warrior who can even use his own death as an advantage, as a way to turn the tide of battle & gain a strategic advantage. The gameplay around a ninja is different from a samurai. If you control a samurai, then he will use his sword but ninja can sneak around & can do stuff that are considered unfair such as he can blind enemies, he can do things that are not honorable. From gameplay point of view, it is very exciting because it opens up so many options. Sekiro: Shadows Die Twice will not run if your PC specs. 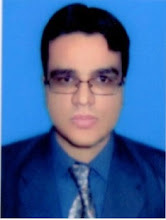 are lower than minimum requirements. For optimum performance, your PC specs. must be equal or higher than recommended requirements. Watch Sekiro: Shadows Die Twice full game movie. Get a look at Sekiro: Shadows Die Twice gameplay movie with no commentary. Watch Sekiro: Shadows Die Twice gameplay walkthrough | PS underground. To add fun to this post we have added Sekiro: Shadows Die Twice reveal trailer in HD. You can watch Sekiro: Shadows Die Twice E3 2018 trailer & don't forget to leave comment. Watch Sekiro: Shadows Die Twice E3 2018 gameplay breakdown & analysis. Game graphics are extra ordinary. Liked the video.